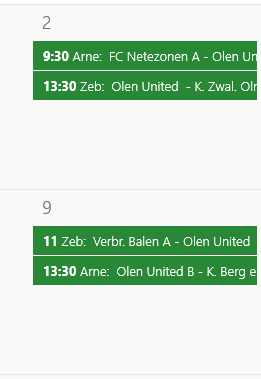 Not going too much into technical detail, but as I developer I was didn’t feel like spending 1 hour entering the matches of my 2 sons’ football competitions manually in our shared calendar. So as any sensible developer would do, I spent a few evenings putting together something that would take the data of the official website and transform it into .ics format. Since sharing is caring, the result can be found at https://blog.tom.be/misc/belgianfootbal-ical. It isn’t the most visually appealing, but it does what it claims. Although the KBVB does supply us with downloadable csv files with match data, it doesn’t contain extended information about the divisions so I had to make it up to the best of my abilities. So it is possible that you see some divisions like BDA2 or RGO, but most of them should be clear. Simply select a team, select a division and download the ics file. Then import that file into your calendar app. 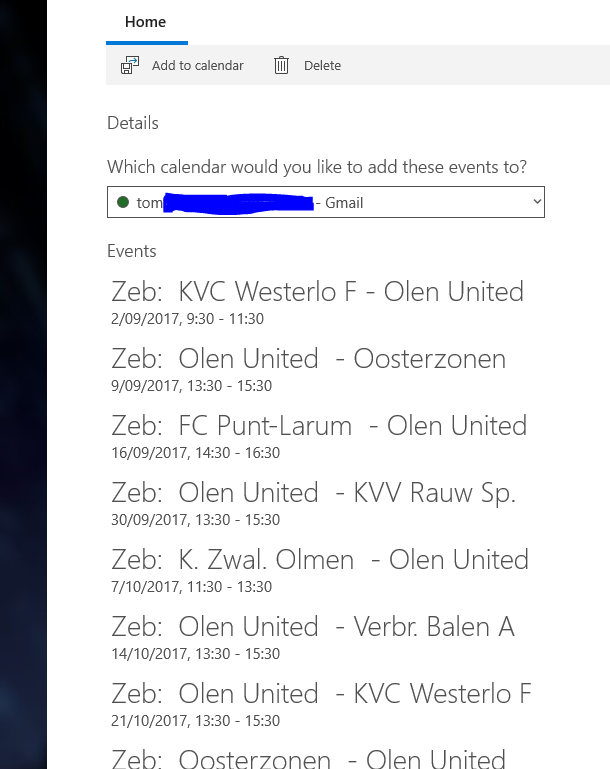 If you have more than one child, you can use the title field to give a more descriptive name to the entries in the calendar.